The Whitetail Woods parcel consists primarily of mature oak woodland features. This area is a pleasant location for a short walk or to cross country ski amongst the oak and pine woodlands. This parcel contains an unusual amount of American Chestnut stumps and Sprouts. The chestnut blight killed the numerous chestnut trees throughout the Northeast in the early 1900s. However, at least six healthy American Chestnut trees have grown to 20 feet or more at this location. Since 2004, the Conservation Trust land stewards have been clearing around these trees to allow more sunlight to increase their chance for survival and growth. Park off Spectacle Pond Road. A Trust sign is adjacent to a kiosk that shows a map of the area. 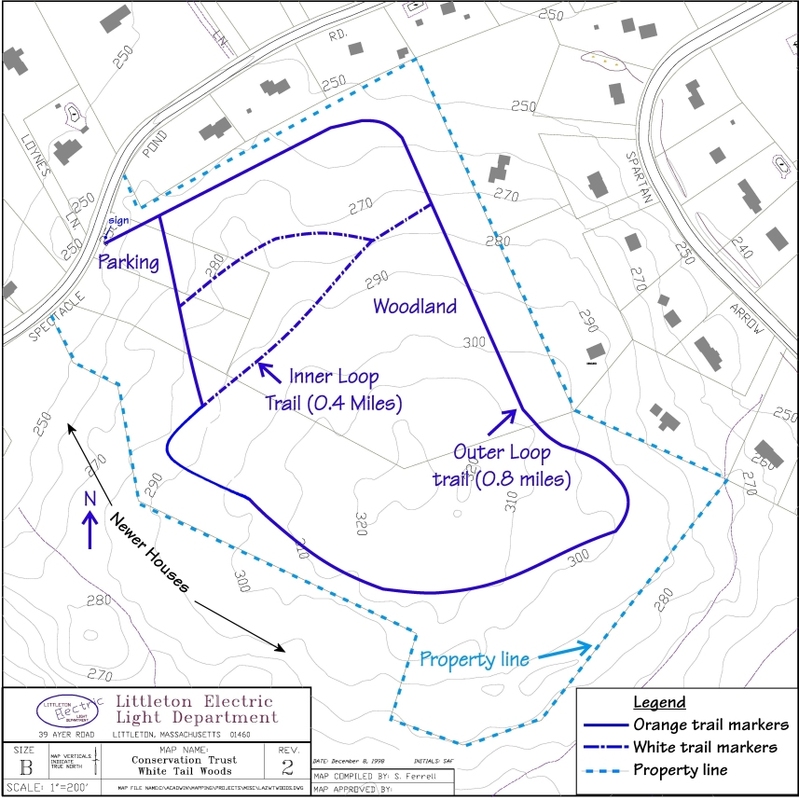 Two loop trails developed by the Boy Scouts begin at the off-street parking area. 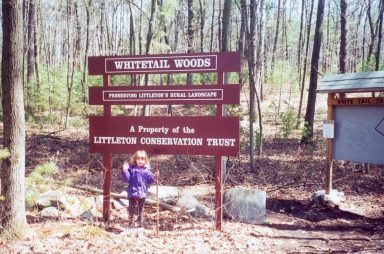 In 1994, the Tidan Corporation donated this woodland to the Littleton Conservation Trust. Some adjacent homeowners have created side trails to the rear of their properties which can cause confusion when following the Boy Scout trails. Watch for the orange markers to stay on the correct trail.